Adidas and Dragon Ball Z have finally unveiled their collaboration with Akira Toriyama with their new Adidas X DragonBall Z sneaker collection. Rumours of the sneakers have been around since last year and leaks of three of the sneakers were released around that same time. Now we finally get to see all seven of the upcoming sneakers in their full glory. 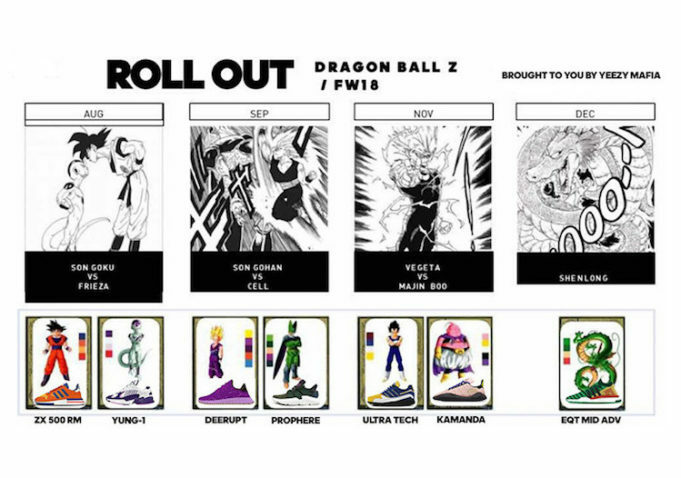 There will be 8 sneakers in question using characters from the Dragon Ball Z manga/anime and pair them with existing Adidas sneaker models that will feature special color iterations of the Adidas models said to resemble the style of the Dragon Ball Z character. The sneaker models that’ll be used include the Adidas ZX 500 RM, the Adidas Yung 1, the Adidas Deerupt, the Adidas Prophere, the Adidas Oregon Ultra Tech, the Adidas Kamanda and the Adidas EQT ADV Mid. They’ll be paired together with the Dragon Ball Z characters Goku, Frieza, Gohan, Cell, Vegeta, Majiin Buu and Shenlong respectively. 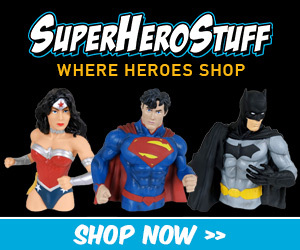 The sneakers may also come paired with limited edition figurines that their designs are based on. There are rumors that characters Mr. Popo, Yajirobe, Tenshinhan and Mr. Satan will also be getting their own silhouette, which suggests that the adidas Dragon Ball Z collection may extend beyond the shoes seen here.